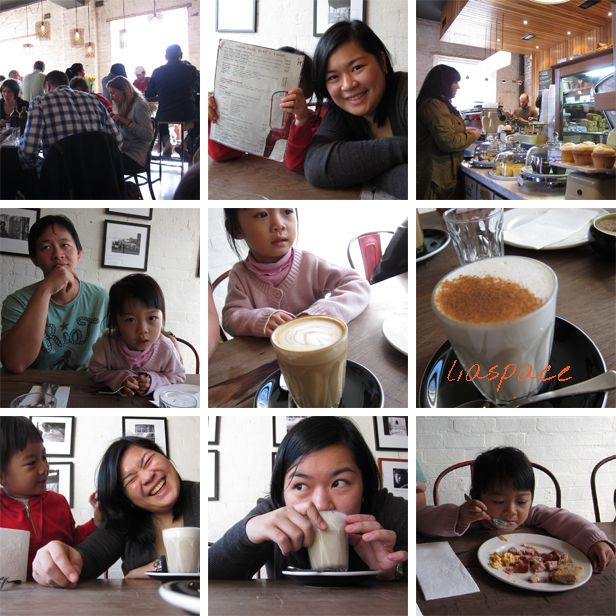 After Brisbane, we visited Melbourne and stayed at my sister's tiny apartment :D....all 7 of us (mom, dad, 4 of us and my lil sis). Though cramp, we all had fun and loved each other's company (specially when the children are asleep hehehehe). Whilst my parents, my sister and my parents' friends went to The Great Ocean Road to see the 12 apostles (7 now??? )...The four of us took our time and had brekkie at Three Bags Full in Abbotsford...WE LOVED IT THERE! My egg benedict came out beautifully and ooohhh sooo fresh :)...the chai was really nice too, though a bit on the heavy side :). 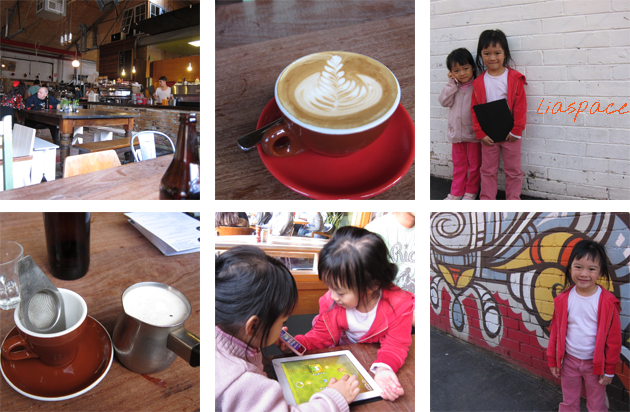 From here, we thought we should try one of the best coffee place in Melbourne (so the locals say....), we went and try St. Ali and we TOTALLY understand why this place won the hearts of so many people :). The coffee was nice and my cuppa chai was PERFECT :). I fell in love with St. Ali :)...we are yet to try Cumulus...but it could wait till our next visit to the number 1 livable city in the world :D.